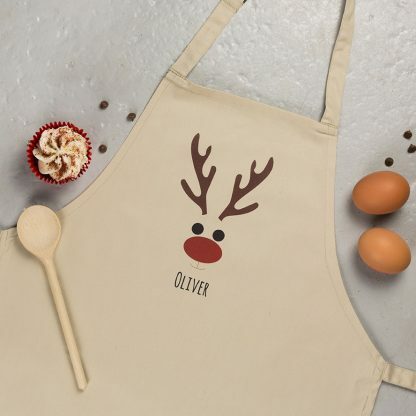 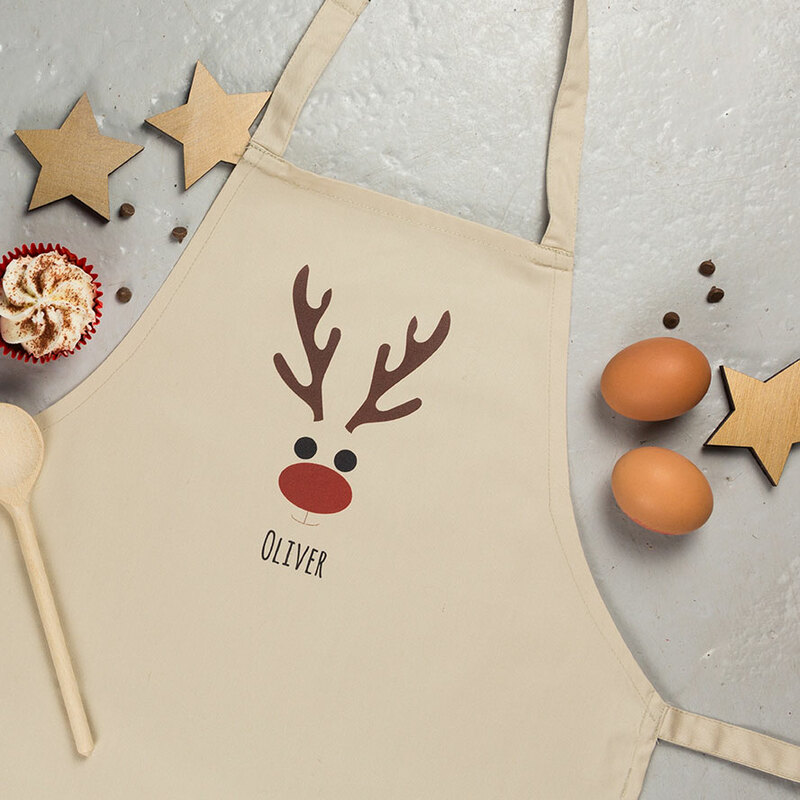 Delight any child this Christmas with a unique personalised apron just for them with our Rudolph inspired design. Add our matching Childrens Personalised Christmas Baking Set to make it even more special. 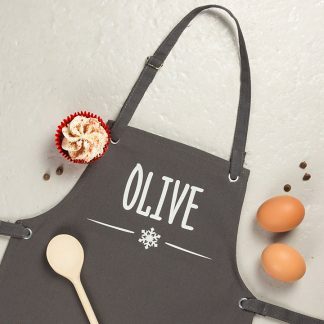 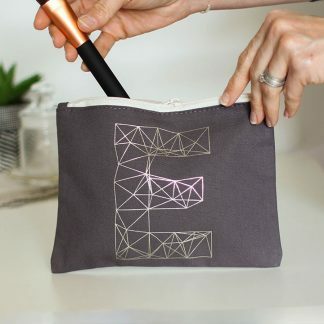 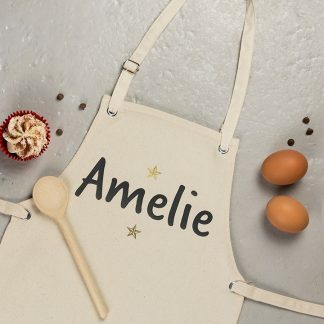 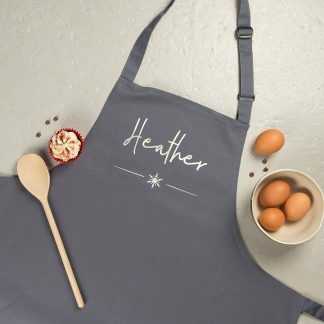 We’ll print the design with your chosen name on a natural coloured polycotton apron which has an adjustable neck loop. 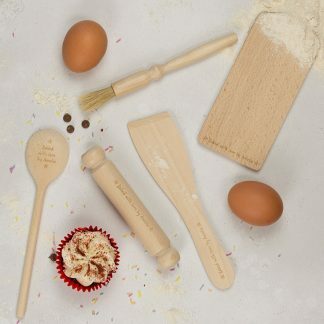 A lovely stocking filler or Christmas gift for the child in your life.